Matthew Tilders was born in the Netherlands in 1941. His parents emigrated to Australia in 1955 and settled in Melbourne. Matthew sang in school and church choirs but developed an interest in blues music. He learned to play harp (mouth organ) and joined a local band. He later took up the guitar and by 1960 was busking in the cafe bars around Melbourne. With no particular mentor he developed his own blues style using his wide vocal range. He cut his first album in 1961 at a friend's home studio but it sold very few copies. A year later he was teamed up with Shane Duckham and they played on the Sydney folk circuit for many years. In 1970 after Dutch appeared on New Faces, he was signed by Ron Tudor to the Bootleg label. In 1972 he recorded the first album for the label and worked with Phil Manning, Barry Sullivan and Barry Harvey (Chain), Laurie Prior (The Twilights) and Broderick Smith (The Dingoes). Paul Cadd played and produced the album with features Delta blues on side one and Chicago blues on side two. 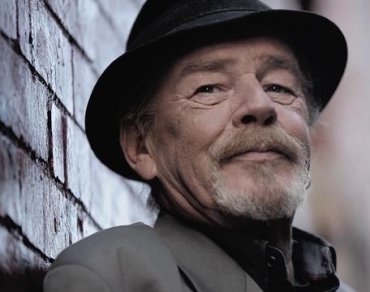 Throughout the 70s, Dutch became a stalwart of Australian blues music and popular performer at clubs and festivals and toured as support for John Mayall. Although Dutch did not enjoy commercial success he did become a firm favourite with other musicians and blues fans. Among his many admirers was B B King, who along with Sonny Terry regarded him as a genuine bluesman. Throughout the 70s, Dutch recorded and performed with Kevin Borich, Taj Mahal, John Mayall and Sonny Terry and Brownie McGhee. In 1975 he recorded with Jimmy Conway and Kevin Borich and his third album, Working Man was released in 1977 and an all-star backing group of blues harp maestro Jim Conway (Captain Matchbox), Kerryn Tolhurst and John Bois (Country Radio, Dingoes), Ray Arnott (Spectrum), and Jeff King (Foreday Riders). During the late seventies, Dutch fronted several blues and boogie bands including The Elks, the Cyril B. Bunter Band and Mickey Finn. In 1979 he made an album with Jim Conway, Bob Bertles (The Meteors), and Peter Howell (bass). By the 80s Dutch formed the 'R&B Six', a band that included Charley Elul (drums), Peter Frazer (sax), Suzanne Petersen (flute and vocals), Mick Eliot (guitar) and Dave Murray (bass and vocals). This band toured Australia extensively. Unfortunately, Dutch did not release any new recordings, but formed The Blues Club with Geoff Achison (guitar), Martin Corcoran and Terry Noone (sax), Barry Hills (bass), and Winston Galea (drums). Later he joined The Holey Soles with Anthony Harkin (harmonica), Barry Hills (bass) and Ian Clarke (drums); the second line-up featured Clarke, Luke Keogh (harp), and Peter Howell (bass). This was followed by The Dutch Tilders Band with Greg Dodd (guitar), Barry Hills and Winston Galea. Over the last decade Dutch continued to perform but more recently as a solo artist. Ill health forced him into retirement and he passed away, aged 69 in 2011. The blues had a baby (1980).